I missed my Week 8 update. In short, the highlight of that week was the Lowe's Build & Grow project - a firetruck. Not only did Lowe's let kids build free firetrucks, but our Lowe's had Safety Day as well. 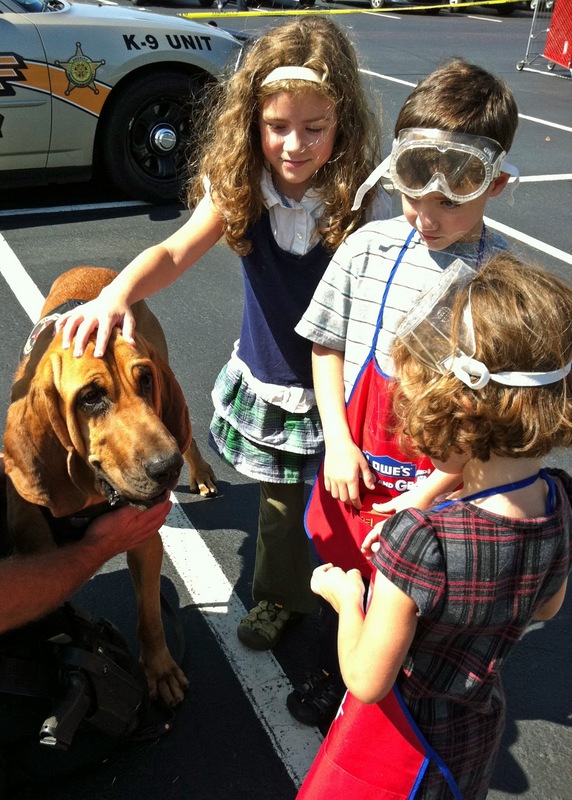 The kids got to climb in an ambulance and a firetruck, see two K-9 deputies (one used for catching and subduing suspects and the other used for tracking), and have their fingerprints taken and handed over to me for safekeeping. The store was also having a scavenger hunt for safety items to be used around the home. The kids had a GREAT time! As for Week 9, we spent much of the week working on a project. 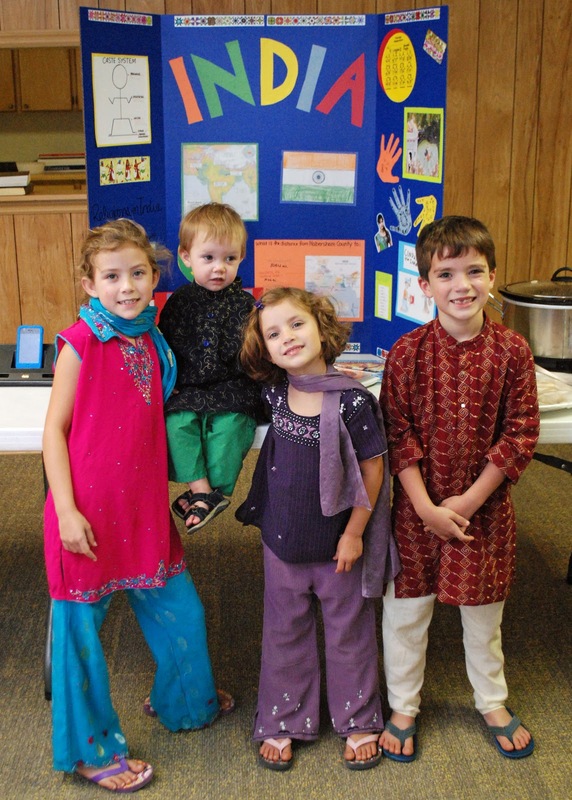 Our homeschool group had a Geography Fair this past Monday night - and our family's location of choice was India. We borrowed Indian clothing, I made Chicken Tikka Masala, and we played music on the iPod from Lagaan (a FABULOUS movie, by the way). 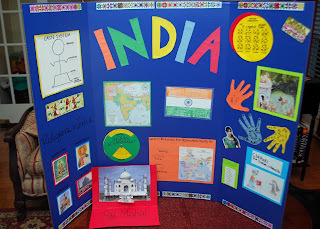 Each project's presenter spoke for a few moments about the country they chose. When it came to Casey, Will, and Tricky... well... it was interesting. For example, when Casey was telling a little about Gandhi, Will piped up and told everyone, "He was in JAIL!" Yes, that is what my sweet 6 year old son learned about Gandhi - he was incarcerated. My son seemed scandalized - I spent quite some time afterward explaining to Will why Gandhi had been imprisoned. We've started working on a lot of memorization - a. lot. This is an area where I've slacked off the last couple of years...and I think I'm making up for it. We've got all sorts of things going: prayers, Bible verses, poetry, things in other languages (Spanish and Latin). 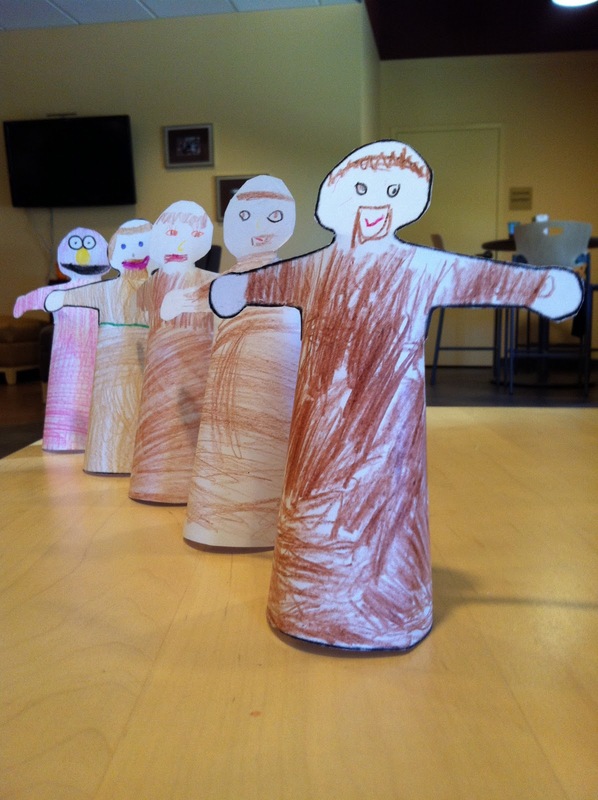 Tuesday was the Feast of St. Francis. The kids made St. Francis figures at church on Sunday - except for Chaucer. I made him an Elmo. He REALLY likes Elmo. In fact, people know of how much he loves Elmo, they've started giving him various Elmo goodies - books, coloring books, toys. And, he's very proud of his new Elmo jammies! The poster looks fabulous! I cannot believe you are going to dismantle it - but that's just how you are! ;) It would make a nice wall decoration for the school room though. 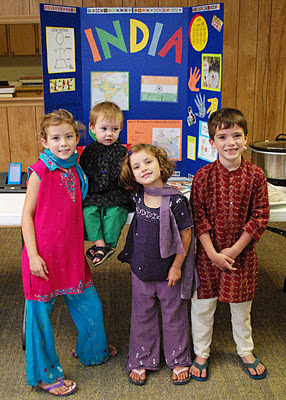 If we had a Sunday School room of our own, we could use it for the Province of India! The Geography Fair sounds like it was fun! Love the display board. The Elmo jammies are too cute! How cute! "Ghandi was in JAIL!" haha! Thanks for sharing your week. I just have to say that last picture is TOO CUTE! How sweet! Love the Elmo outfit. I was wondering, why India as your country? You said it was obvious, "why?" Just wanted to let you know I don't do Facebook anymore, didn't want you to think I was ingnoring the friend request. Great blog! I wouldn't mind some Elmo jammies myself! Looks like a great week. 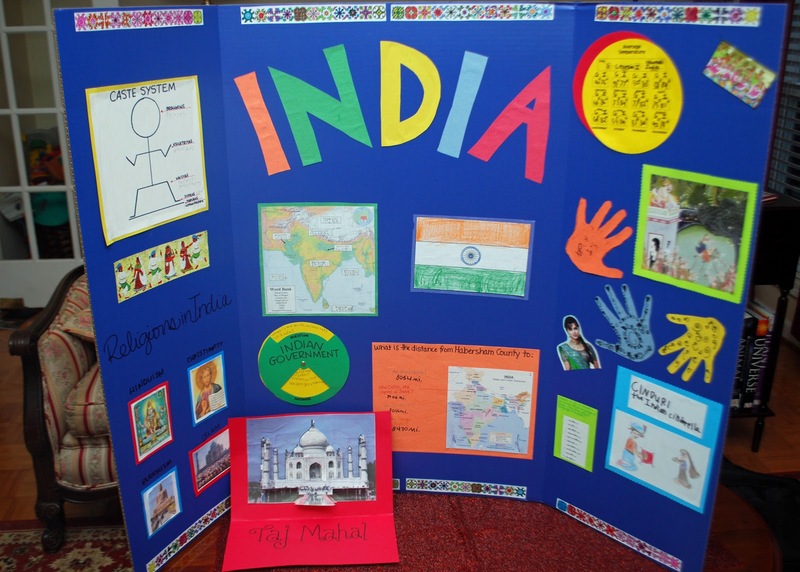 The Geography fair is a great way to practice those public speaking skills--at all levels! We have never gone to the programs that Lowes offers here. We have gone to the things at Toys R Us before but never Lowes or Home Depot. I wish that we had while my kids were much younger :(.